Store Manager Andreas Andreou and his crew proudly sporting a Farmer’s Burger and the new Always Crispy Fries. If you want to meet Andreou and his hospitable co-workers, you can visit them at 925 W Mission Ave. Visiting local restaurants and sampling their food is a tough job, but somebody has to do it. It’s my fate and I face it bravely. 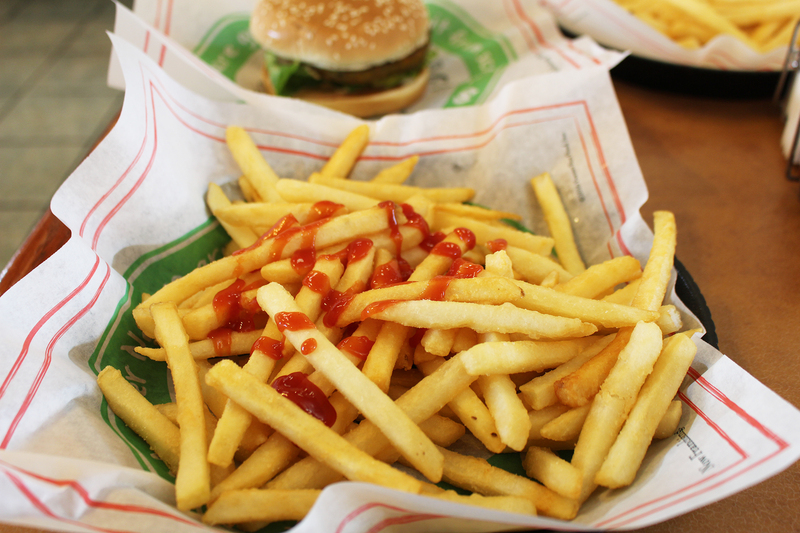 I visited one of the two Farmer Boys restaurants in Escondido in order to experience first-hand their new “Always Crispy” fries. I met the Mission Avenue store manager Andreas Andreou, who noted that he tests the fries at five minute intervals to ensure that they stay crispy. At about half an hour, they begin to lose their crispy edge, but that’s plenty of time if you order and dine in, or even carry the order to another location. The new tastier, more brown fries were introduced a couple of months ago nationwide at the chain. Farmer Boys gets their potatoes from family farms in the Columbia River Basin, a region which includes Oregon and Washington. One suggestion, which I didn’t try out this time, although I’m certainly open to it, is to order the Farmer Boys’ fries a la carte, topped with signature chili and cheese, or added as a side to any menu item as part of a combo. I did order one of their tasty Market Burger, which is a veggie burger with all the fixings including cheese. But I was focused on the “always crispy” fries as the main event of my visit. I wasn’t disappointed. It’s often hard to find great fries. Farmer Boys is one of the places where you can get them! 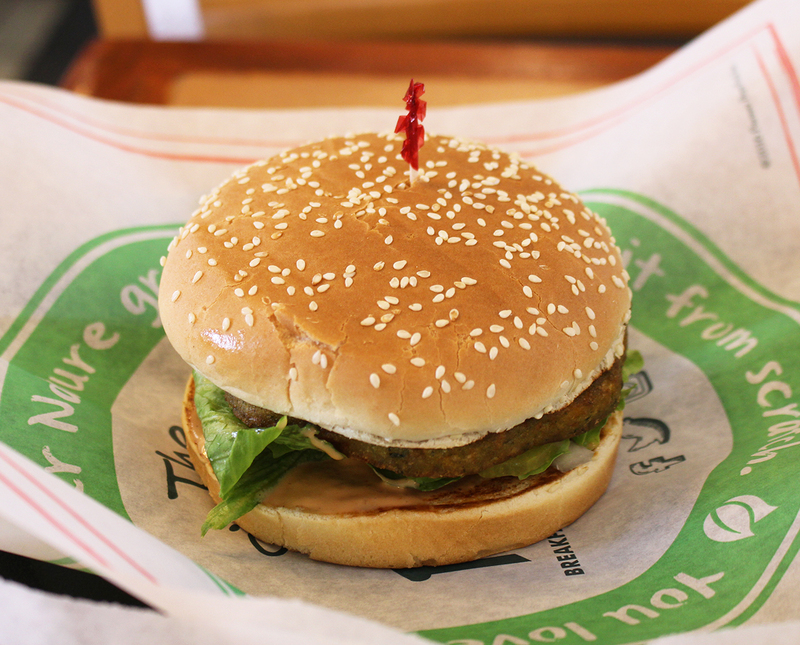 A veggie burger to eat along with the fries. The new “Always Crispy” fries at Farmer Boys, which the reporter tried last week.